Platinum models read like luxury vans on paper, but aren't completely shod with high-quality materials and creature comforts. Stick between SV and SL trims for the best value. The 2017 Nissan Quest is in search of a new mission. 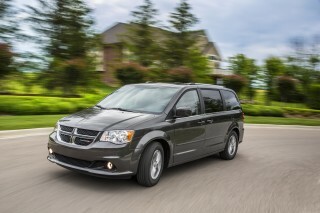 Unchanged this year from last year, the minivan lags other competitors in features, safety, and comfort while it awaits a new life. Offered in S, SV, SL, and Platinum trims, the Quest may tempt buyers with its low price of less than $28,000 to start, but it ends up delivering less than competitors. We're nearing the point where the Quest's boxy and upright stance will be considered hip, but we're not quite there. The tall van leans hard on its Japanese-market roots, but the Quest hasn't inherited some of the good looks afforded to other Nissan cars these days. The interior is the same story: boxy and rectangular. The Quest can be trimmed in nice materials such as leather, but there are bits of gray plastic around the van that make it feel less than finished. Under the hood, a Nissan V-6 that makes 240 horsepower appropriately powers the van. It's teamed exclusively to front-wheel drive and a continuously variable automatic transmission (CVT). Independent suspension and a direct steering box are the gifts the Quest brings to bear, but it's not enough to escape its mission (family duty, after all) nor its tall body. The good news: The CVT has intelligent simulated "gear" programming that helps it manage still-respectable 22 mpg combined, according to the EPA. The bad news: It's still a CVT. Between the wheels, the Quest is roughly the same size as its competitors, but still somehow feels smaller comparatively. We have some quibbles with the interior packaging: the rear doors don't slide far enough back for adults to get in and out of the second row; the seats don't fold into the floor; the second- and third-row seats don't move; the power third row doesn't fully complete its task. 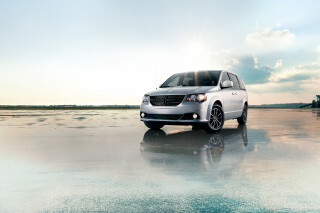 In all, the Quest manages to be a minivan, but lacks the versatility we'd expect from a minivan of its size. Its cargo area isn't as big, and it's not as flexible as others on dealers' lots. The safety story isn't much better. It's too early for 2017 numbers, but the 2016 van earned a worrisome "Poor" score on the small-overlap front crash—with an even more worrisome note—and hasn't undergone a full federal battery since 2011. 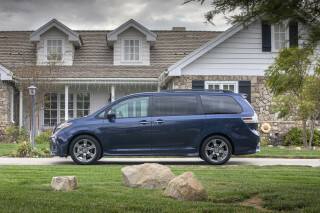 Minivans are family vehicles, first and foremost, and we'd like to see some improvement in Nissan's offering sooner rather than later. Base S models start below $28,000, but don't feature many creature comforts. They start with power windows, locks, and mirrors; 16-inch wheels with caps; a four-speaker AM/FM/CD radio; front and rear climate controls; and keyless ignition. Notably missing from the rundown are Bluetooth connectivity, a rearview camera, or any infotainment display. One step up, to SV territory, nets some better equipment such as 16-inch alloy wheels, power sliding rear doors, an upgraded six-speaker stereo with 5.0-inch display, Bluetooth, a rearview camera, and roof rails. Those models start at $31,000, which is where you might find many other competitors too. Upright and boxy, the Quest may be hip and cool at some point—just not right now. The upright, tall, boxy looks of the Nissan Quest divide shoppers into two categories: love it, or leave it. Our guess is that most mainstream shoppers may be in the latter category rather than the former. The Quest leans hard on its Japanese-market van roots and bears a slight resemblance to the modern-cool looks of the Flex, according to our eyeballs. The nose looks lower and smaller thanks to large inlets, but the rear ends abruptly for better aerodynamics. Blacked-out pillars give the impression that the Quest has a floating roof—and it manages to smooth over some of the boxiness a little—but from the rear quarter and beyond, it's just a little flat. The Quest doesn't wear the corporate Nissan "V-motion" grille and that's probably a good thing—it can turn into a "beak" on some cars. It's the same story inside, with plain-looking LCD displays and stacked rectangles for controls. There's a mix of wood and gray plastic throughout the cabin of the Quest, which makes it feel upscale in some areas—unfinished in others. The transmission lever lines up vertically on the center stack, and it blocks the driver's view of some knobs and buttons. A good suspension helps, but performance isn't the Quest's forte either. Minivans aren't necessarily fun to drive, but they can manage to be somewhat entertaining. The Quest handles like a smaller car, and its steering is relatively good for the class. All versions of the Quest are equipped with the same powertrain: a 260-horsepower V-6 teamed with a continuously variable automatic transmission (CVT). It's a little smoother and quieter than other cars in the Nissan lineup, and the van isn't strained for passing power. The Quest's ace may be its independent suspension at all four corners. It smooths over bumps and imperfections on the road and feels like it's damped better than other rivals. We're talking about a minivan here, so it's important to note that the Quest still corners, accelerates, and brakes with nothing but safety in mind. The Quest also feels the most nimble thanks to a well-tuned hydraulic steering system. Other vans have switched to fully electronic power steering systems, which are quite good, but the Nissan rebounds from turns in a more relaxed way. We like the CVTs programming in the Quest, thanks in part to Nissan's D-Step shift logic that simulate "gears" to feel more responsive. That said, it's not as new or refined as the 9-speed automatic found in the Pacifica. 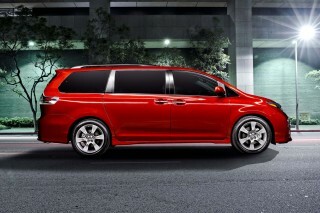 Minivans should be spacious, versatile, and comfortable. Unfortunately, the Quest manages to succeed in only one of those categories. The 2017 Nissan Quest has the profile of a minivan, but lacks some of the usefulness we'd expect from a family-first vehicle. Poor use of space is to blame here. Between the wheels there are 118.1 inches, and there are 200.8 inches bumper-to-bumper, which puts it on the small side of minivans on the road today. The 2016 Honda Odyssey rides on the same size wheelbase (it's about 2 inches longer, though) and has less passenger volume, but is magnitudes more comfortable. For instance, the sliding doors on the Quest don't slide far enough for adults to clamber up and into the seats easily. It can be challenging to fit a car seat into the opening, let alone children with their own agendas. The Quest doesn't have a second-row bench, so it doesn't have the same eight-seat capacity as most of its rivals. The third row seats are acceptable for children, but not recommended for fully grown legs. Second and third row seats don't slide fore and aft, rather they easily tumble down when more cargo room is needed. The load floor is comparably high, which makes the Quest feel smaller than it is. If you order the power assist for the third-row seat, it's important to note that it stops short of raising the seats all the way. The feature gives up at the vertical position, which leaves owners to use a cloth strap to awkwardly finish the job. The seats don't fold completely flat into the floor, which cuts into cargo volume. By the numbers, the Quest has 37.1 cubic feet behind its third-row seats, 63.4 cubic feet with the third row folded, and 108.4 cubic feet with the second row folded. The new Kia Sedona has folding second-row seats like the Quest, but still offers up 33.9/78.4/142 cubic feet of space, respectively. 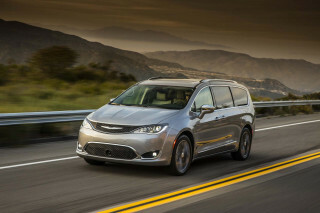 The Chrysler Pacifica has a class-leading, fold-in-the-floor seats on some models, and with them, they can boast of 32.3/87.5/140.5 cubic feet. The humongous Sienna's numbers are 39.1/87.1/150 cubic feet of space with the second-row seats folded up and the third row tucked away. The Odyssey is almost as big, with 38.4/93.1/148.5 cubic feet of space behind the respective rows. Other compromises are less noticeable, but they're there. There's no telescoping steering wheel, though the high seating position makes the most of the situation. The Quest offers up 16 cup and bottle holders, but the pop-out pair under the radio are big enough only for cans. Beyond dizzying numbers and ergonomic quibbles, the Quest manages to be relatively comfortable. The front seats have decent leg and head room, and large adults will comfortably fit in the big, lushly upholstered buckets. The view ahead reminds us a lot of the first Japanese minivans that came to the U.S. in the 1980s, with a flat dash structure that makes for easy entry and exit, along with wide doors. 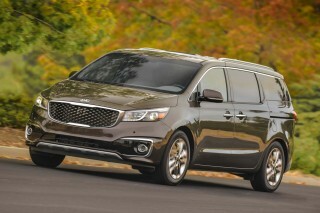 Other minivans have far surpassed the Quest in safety ratings. Federal testers haven't put a Nissan Quest through its battery of tests in a while, and the data that is available from the IIHS isn't all that impressive. Given the age of the vehicle, it's likely that those scores won't change much anytime soon. A fair amount of standard safety features on the Quest help it stay (somewhat) relevant. Anti-lock brakes, traction and stability control are standard, as are dual front, side, and curtain side airbags. A rearview camera is standard on SV, SL, and Platinum models, and the top trim gets a standard surround-view camera system and blind-spot monitors. 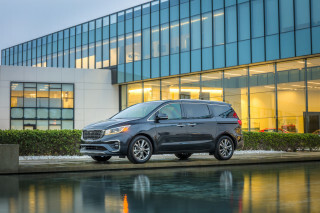 The Quest's age shows in its safety scores, which are far behind other minivans, and sets it further back in a safety-conscious segment. 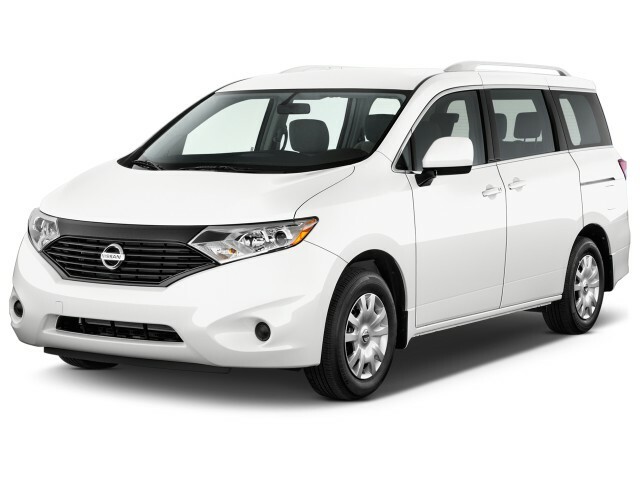 Although its starting price is very low, the Nissan Quest doesn't offer the same number of creature comforts as others. The 2017 Nissan Quest is equipped identically to last year's model and is offered in the same range of trims: S, SV, SL, and Platinum. Base S models are equipped with power windows, locks, and mirrors; 16-inch wheels with caps; a four-speaker AM/FM/CD radio; front and rear climate controls; and keyless ignition. Notably missing from the rundown are Bluetooth connectivity, a rearview camera, or any infotainment display. Shoppers would be better advised to start at the SV trim, which has more features you'd expect from a family-friendly car. SV models are equipped with 16-inch alloy wheels, power sliding rear doors, an upgraded six-speaker stereo with 5.0-inch display, Bluetooth, a rearview camera, and roof rails for more than $31,000. The Quest SL adds luxury touches such as 18-inch wheels, heated side mirrors, power liftgate, automatic headlights, leather upholstery, heated front seats, power-adjustable driver's seat, and more interior storage cubbies. At more than $44,000 to start, the Quest Platinum goes all-in on features with standard navigation, power assist for the third-row seats, an 8.0-inch infotainment display with Bose premium stereo, air filtration system, wood trim, a DVD entertainment system with an 11-inch screen, blind-spot monitors, a surround-view camera system, and upgraded headlights. Like most Nissan vehicles, the Quest doesn't have many options available from the factory. The DVD player is available for the SV and SL, while a Bose speaker package is offered for the SL. Satellite radio is offered on mid-line Quests. Dual sunroofs are available on the SL and Platinum models. The Quest has mostly skipped other cutting-edge luxury features, like Chrysler's Uconnect wireless hotspot or Toyota's wide-screen DVD entertainment system. The Nissan Quest may be one of the older minivans on the market, but it's just as efficient as newer rivals. Despite being one of the oldest minivans on the market now, the 2017 Nissan Quest manages to nudge itself toward the top for fuel efficiency. That boils down to the van's continuously variable automatic transmission that keeps the V-6 right in its efficiency sweet spot. The EPA rates the Quest at 20 mpg city, 27 highway, 22 combined. 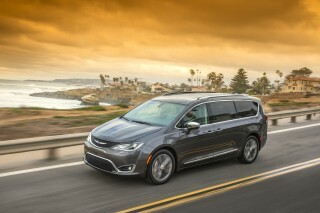 Chrysler's newest Pacifica manages the same 22 combined mark, but surpasses the Quest in efficiency with its plug-in hybrid. 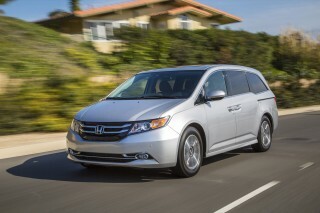 The leading minivans on the market—the Toyota Sienna and Honda Odyssey—both manage 22 combined, according to the EPA. Couldn't disagree with a review more. This minivan has nearly 3 inches more front legroom than either the Sienna, or Oddessey and Pacifica and far more comfortable seats. While the cargo space is less than... Couldn't disagree with a review more. This minivan has nearly 3 inches more front legroom than either the Sienna, or Oddessey and Pacifica and far more comfortable seats. While the cargo space is less than these minivans the rear seats fold flat easily and don't require the removal of the second row seats. There is adequate room for 99% of whatever you'd expect to carry in a minivan.